As most of you know, Jake was born with Klippel-Trenaunay-Weber Syndrome. We've been given the opportunity to fly to New York this October for the Vascular Birthmark Foundations Conference and Clinic. Jake was able to see this great team of doctors 3 years ago in Irvine. We left with a lot of new information and had some great meetings with some amazing doctors. These conferences are rarely held on the west coast, as all of the doctors that specialize in this syndrome are on the east coast. 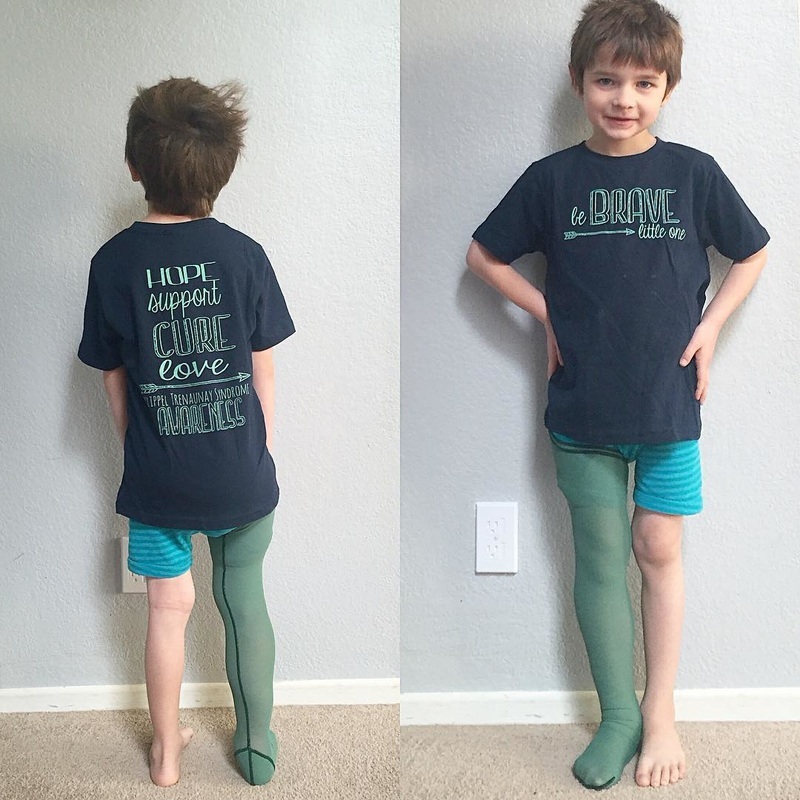 Jake is now 6 and his vascular and lymphatic malformation has changed drastically over the past several years as he grows and changes. Due to the fact that KT Syndrome is so rare, it's not often that we see doctors who are familiar with it. Most of Jake's doctors' down at Rady, who have been amazing, are learning how to care for Jake symptomatically. At this conference in NY we would be given the opportunity to sit down with Dr. Kami Delfanian, who is currently the most knowledgable doctor in the US for KT Syndrome, and he will see Jake in a clinic appointment. 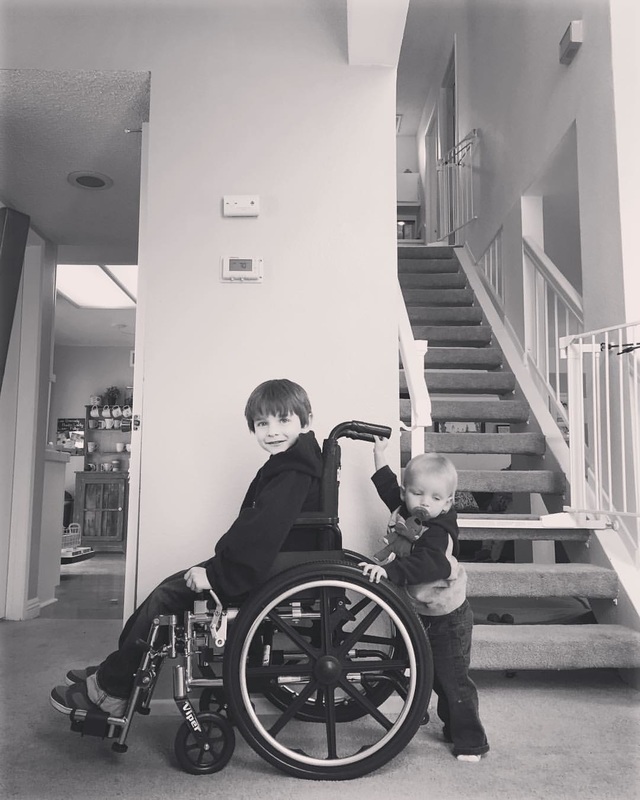 Jake will also be given the opportunity to meet other kids and adults affected by KT Syndrome and Vascular Birthmarks and Travis and I will be given the chance to sit in conferences throughout the day to learn more about treatment options and info that we can bring back to Jakes doctors at Rady Children's. Although we have covered the registration fee, flying to NY and staying in a hotel can be costly. We've managed to get 1 hotel night free through the VBF early registration. 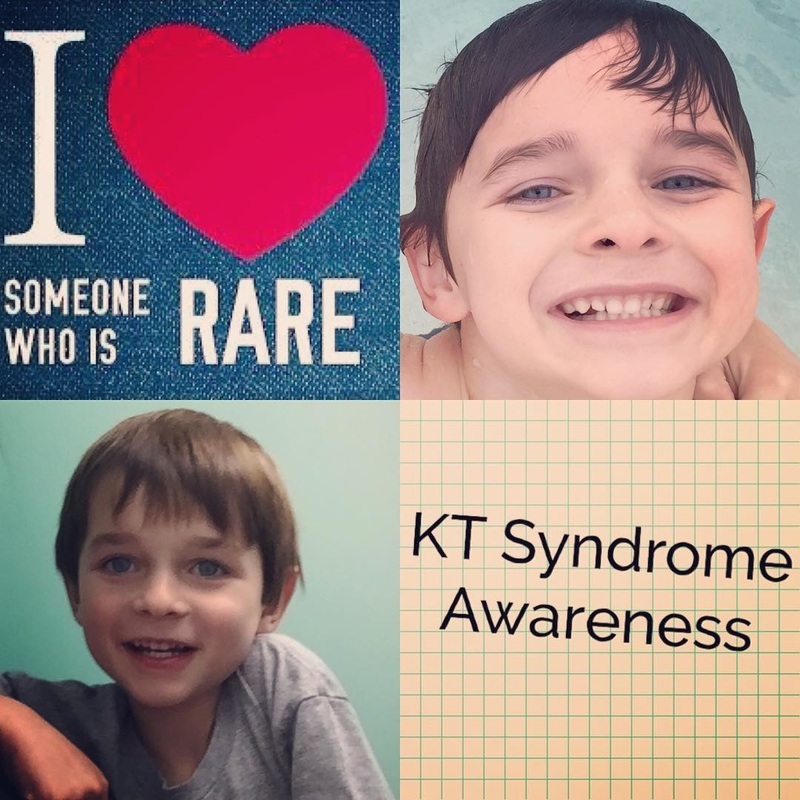 Asking is never easy, but we know it's in the best interest of Jake and through the fundraising, we hope to raise awareness for KT Syndrome as well. 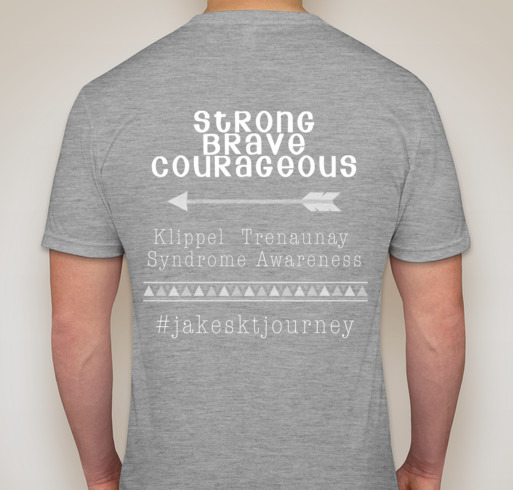 We've created these awesome t-shirts to raise awareness for KT Syndrome and support our Jake. A portion of the t-shirt sales will go to help with travel expenses. 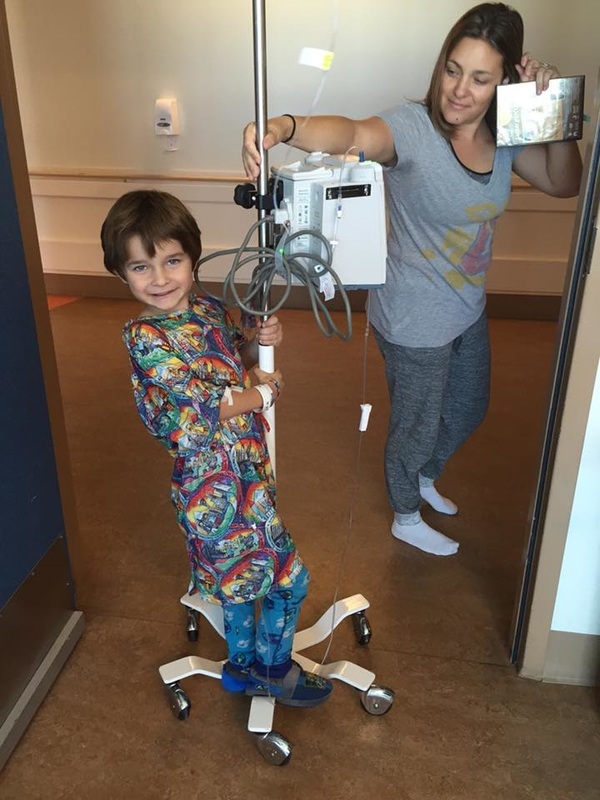 Our goal is to raise $2,000 for flights and hotel. Anything more we raise, we will donate directly to the Vascular Birthmark Foundation who are hosting this event. Jake also thought it was pretty cool that his name was on a t-shirt. 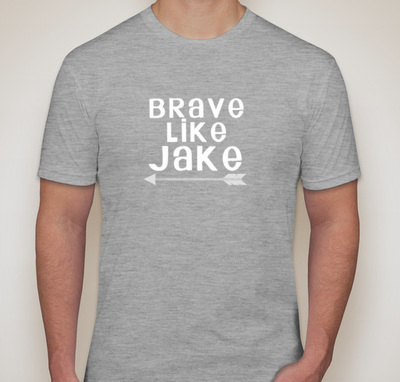 We appreciate you all for following Jake on his journey and hope you love these t-shirts as much as we do! ​Head over to this link!